HTC made a name for itself in the smartphone design game with the One M7 in 2013, and a year later in 2014, the One M8 kept on bringing in the accolades - an evolved aesthetic showed more maturity (and slippery-ness), a bit less plastic, and a greater level of overall fit and finish than its predecessor. Still, while the M8 was certainly a pretty phone, you can't deny the One look is aging a bit, and there were high expectations for the phone's successor in the design department. Those hopes didn't exactly pan out here at MWC, as you're by now well aware. The One M9 - no parenthesis required - changes very little from the M8 visually - and that's probably the first thing everyone noticed about it. I don't think the connotation there is an especially positive one. I also don't think that's a fair sort of criticism, though, at least not inherently. From a marketing standpoint, the M9's staid design language is a tough sell - I'm certainly not arguing against that. But on the objective merits, what does it really matter if the design changes or not? Now, if it changes for the better, that's important, either aesthetically or functionally. That's the kind of thing to look for. 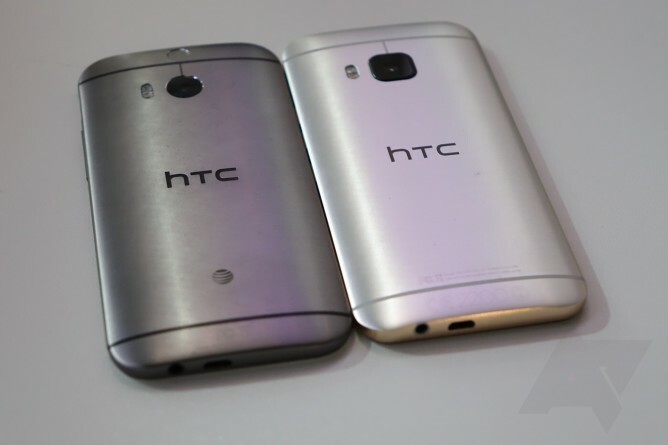 So, did HTC tweak and tuck and improve? As you may expect, the answer is a bit of yes and a bit of no. 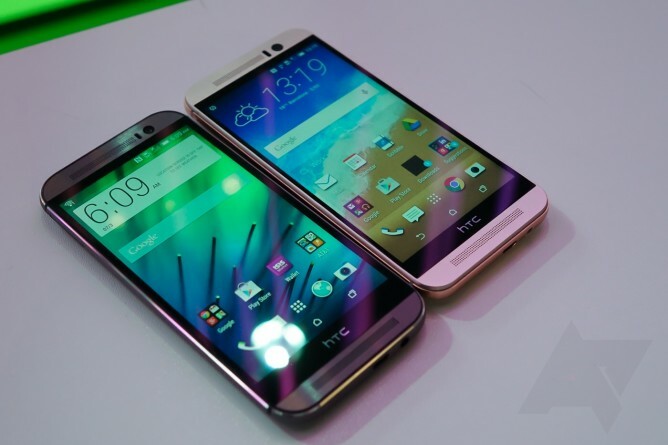 The M9 is shorter and narrower than the exceptionally tall M8, and ups the premium ante just a bit. Gone are the plastic speaker grilles - those are now metal. 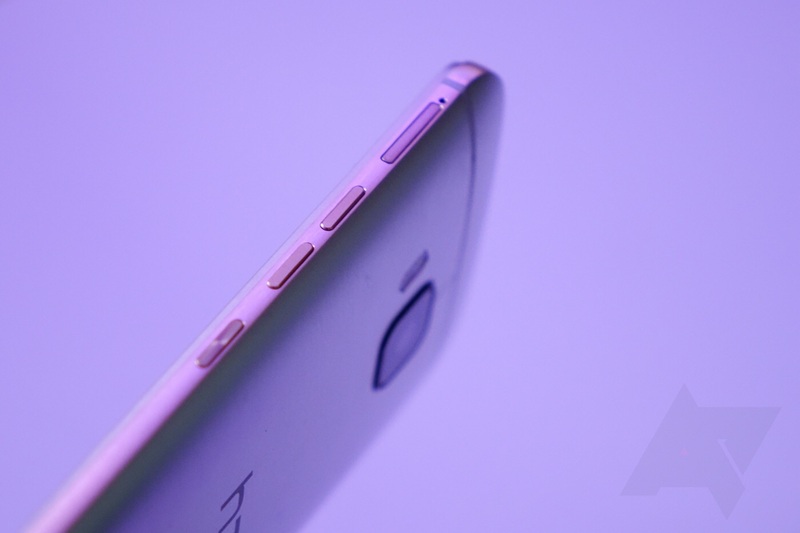 A contrasting gold band along the edge of the phone adds a bit of visual flair. The power button is now on the right-hand side, and the volume rocker has been retired in favor of two distinct volume buttons. And, obviously, the duo camera is done with, replaced with a single square (and protruding) module on the back. Overall, though, the phone feels extremely similar to the M8, and I don't see any real improvements in quality. It's nice, certainly, but HTC now has to compete with Samsung's stunningly well-built S6, and I don't think the M9 compares favorably there. 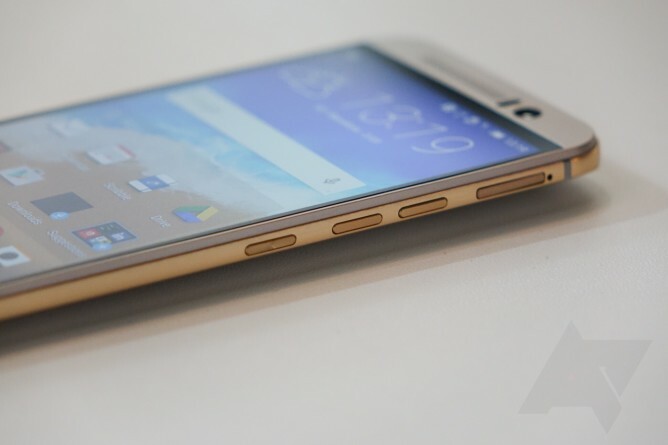 The M9 has the materials of a high-end smartphone, but all the ridges, bumps, and edges make it seem like HTC is both literally and figuratively cutting corners in order to avoid the high cost of the extremely precise tooling necessary to get something as sleek and solid as Samsung's latest, or the iPhone. These are preproduction phones, though, so we'll see what a retail One M9 looks and feels like when we review it, hopefully later next month. 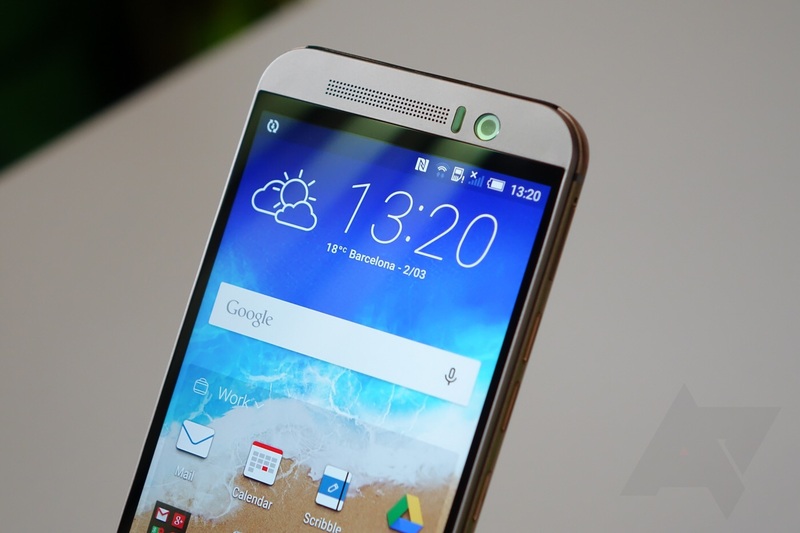 The hardware changes, functionally, to the One M9, don't extend much further than that. The Boomsound speakers use the same drivers, the front-facing camera is now an Ultrapixel, and the rear is a 20MP unit that stands alone (as in, there is no second camera anymore). Inside, you'll find the controversial Snapdragon 810 chipset, which has allegedly shown itself to be prone to heating and throttling issues. Again, I'll reserve specific comments on that for the review. The M9 seemed pretty snappy in the time I spent with it, which was short. Sense 7 was a pretty quick flyby, so I'm not really confident enough to provide much of an opinion on it yet. That said, it looks a lot like Sense 6 and has many of that skin's features, so don't expect radical changes here - it is a decidedly incremental upgrade. In fact, based on what I saw, the M9 itself feels very incremental. And when Samsung announces something like the S6, small changes are not going to endear HTC to its fans. I'll have to see how I feel after an extended period with the phone when we get our review device next month, but at the moment, I'm still pretty far from convinced of HTC's strategy here.